This was the first time I’d run two races in one weekend. Why would I do that? Well because I wanted to get my qualifying races done before summer. 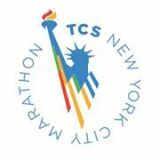 So – because I completed two races this weekend, I only have two more to complete my 9+1 qualifiers for the 2015 TCS NYC Marathon! And to think – a year ago I said I would never do a full marathon… Never say never. Holy holy running girl. You are really dedicated. good luck! Keep on keeping on! So how did you feel after a back to back? I find them draining but invigorating… Does that make sense? Yep makes sense! At first my legs felt a little slow but the at after the first mile I was great! I was surprised! And no soreness at all!